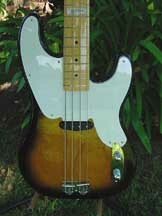 This was the Limited Edition Fender Sting Signature P-Bass Reissue. It is modeled after Fender's '51 Precision Bass. 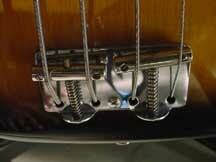 It was in pristine condition and includes Fender '51 Precision Bass Reissue chrome pickup and bridge covers. 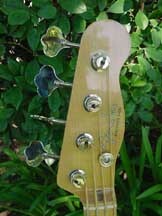 These covers are very difficult to find and provide a more accurate look of a bass from this era. 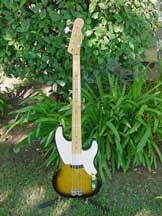 In keeping with it's celebration of the 50th anniversary of the first Precision Bass in 1951, Fender Musical Instruments Corporation (FMIC) will honor the musical accomplishments of two artists and their very distictive instruments with Signature Models. 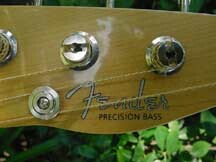 This summer, FMIC announces the introduction of the Sting Signature Precision Bass. 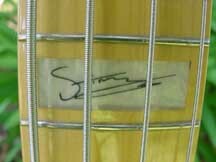 For fans of Sting, one of the world's most visible bass playing front men, the image of his 1953 P-Bass is one that transcends a musical career of more than 25 years - from The Police to very illustrious solo career. 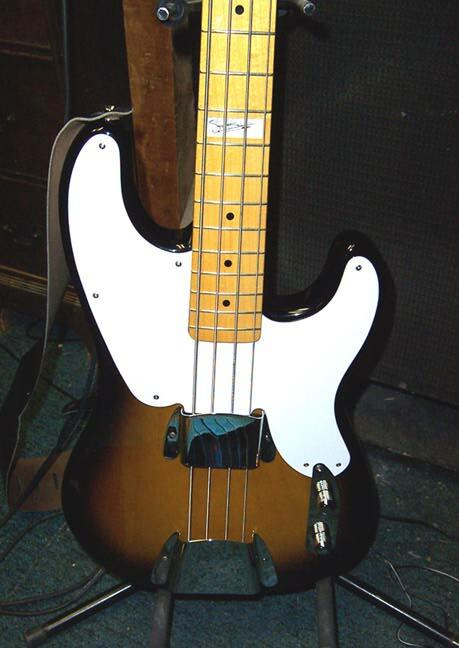 The new Sting Signature Model is a faithful recreation of that 1953 P-Bass. Manufactured at Fender Japan, the Sting Signature Model features a lightweight, contoured ash body with a single-ply white pickguard. The maple neck has a fretboard radius of 7.5" and features Sting's signature in a block inlay on the 12th fret. There is one vintage single coil design pickup, with one volume and one tone control. 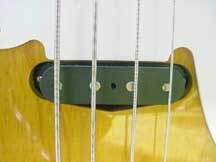 Completing the look and feel of Sting's own bass are the vintage two saddle bridge and two-color Sunburst finish. US MS Retail Price is $849.99.